History abounds with good things to emulate and horrid things to avoid. The first thing to emulate in free government is to assume everyone in it is a rogue, a knave, and is willing to ruin the nation for personal gain. To ignore high criminals in government is to invite national ruin. 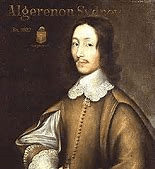 Like constitutional patriots today frustrated with the lack of accountability of Deep State operatives from Obama on down through the DOJ and FBI for high crimes and felonies against the sovereign people, so too did Algernon Sidney (1622-1683) admonish a system in which the king’s magistrates often abused the law for their own profit and influence. Good laws prescribe easy and safe remedies against the evils proceeding from the vices or infirmities of the Magistrate; and when they fail, they must be supplied. Those who desire to advance the power of the magistrate above the law, would persuade us, that the difficulties and dangers of inquiring into his actions, or opposing his will when employed in violence and injustice, are so great, that the remedy is always worse than the disease, and it is better to suffer all the evils that may proceed from their infirmities and vices, than to hazard the consequences of displeasing them. In well-designed governments the remedies against criminal magistrates are easy and safe. When the law and institutions are poised to confront and punish wrong-doers in power, the wrong-doers will take pause and reconsider. Sidney believed such systems of government led in large part to the longevity of Sparta and republican Rome. Importantly, past heroic deeds by kings or generals did not immunize them from current crimes. While criminal magistrates in a monarchy are awful, because often only the king can punish them, the failure of republics to punish certain politicians or magistrates “too big to fall” is the sure path to destruction. Sidney elaborated on the benefits of tight regulation, what we regard as congressional oversight, of the nation’s officers. Honorable men hardly need oversight and good government and will steer the less honorable or unwise away from temptation, trouble and devastation for them and their country. Whether naturally honorable or naturally criminal, every magistrate or officer of the state must fear the wrath of the sovereign, what Sidney called “the lustre of the crown.” An accusation of high corruption from England’s 17th century Stuart kings was as good as a guilty verdict. America’s high magistrates have little fear of their sovereign, the American people. They are demonstrably willing to destroy the law, the expression of the sovereign people, in their quest for power and wealth. As in Sidney’s day, magistrates of the President’s administration walk “in slippery places,” meaning their longevity in office can be tenuous. One false rumor, one slip of the public tongue can mean firing. But some of the nation’s officers squirmed their way into positions of power superior to the sovereign. All politicians rightly feared the inner empire of J. Edgar Hoover. Today, a cabal of senior FBI and DOJ officials are in a cagefight with the sovereign, We the People. Only one, the rule of law or of man will survive. Conversely, nations with wise Constitutions acknowledge the frailty of human nature and the natural corruption in the hearts of men. Being less charitable with granting power over their lives and liberty, they reserved to themselves enough to keep their magistrates within the boundaries of the law. If Sidney’s rules are not observed, if the Constitution is not well-constructed, and the people are exposed to the calamities brought on by weakness, vice, and malice, he admitted the remedies are more difficult and dangerous. Despite the threat of violence, civil war is not the greatest evil. Sidney cited Machiavelli, who wrote that “civil war is a disease, but tyranny is the death” of a republic. Yes, gentle ways are first to be used, and it is best if they can reverse the corruption. If they don’t, Sidney thought nothing can be feared that is worse than what is suffered or must in a brief time fall upon those who are in this condition. These men were advanced above their equals to perform public good, not public evil. The question is whether the punishment of high crimes and felonies shall fall upon a few guilty conspirators or upon an innocent nation? The rule of law and with it, the remains of the American republic are at stake. Reference: Sidney, A. (2012). Discourses Concerning Government. Memphis: General Books LLC. 393-395.